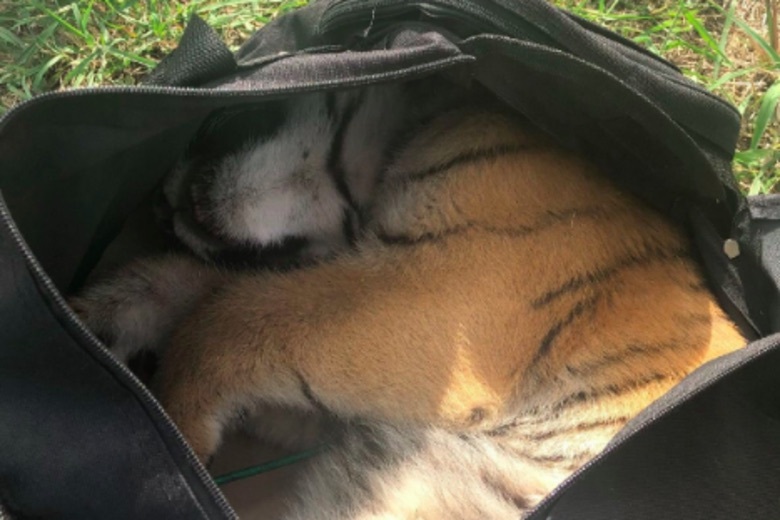 Tiger Cub Stuffed Inside Duffel Bag Discovered By US Border Patrol Agents. The Brownsville Station was established when the need to stem the flow of illegal Chinese immigrants into the United States became apparent; thus the mounted guard was created in 1918 to oppose their entry. The 1882 Chinese Exclusion Act and its subsequent extensions effectively prohibited all Chinese immigration until 1943, which is to say that what made the “illegal Chinese immigrants” in question illegal in 1918 was that they were Chinese people—and thus comparable, in the public discourse of the time, to monkeys, rats, and pigs. It’s not clear to me exactly what this all means, but it clearly means something, and, in any case, cute baby tiger! Previous articleJustin Timberlake hooked up with a Spice Girl. But which one?